Singapore has emerged as a game changer in the East with a highly promising economic status and better opportunity for jobs. The highly promising realm of Singapore has driven immigration towards this country. 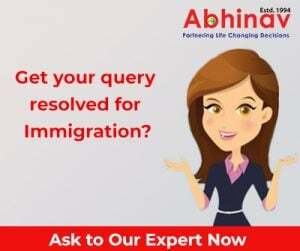 Immigration to Singapore through jobs is easy way outs provided you have exceptional talent and skills, but for those who are in search of an alternative, they can straightway take the route through business and investor immigration. It is one such alternative which can turn the tables in the favor of the immigrant who have considerable amount of money to invest in their business. The vantage point of the economy has come and it has been showing the possibility of growth and development. If you are wondering which country has been spoken about, it is Singapore in the picture. The restructuring of the economy and the maturity level of the economy having breached has enabled the economy to thrust with all the potential. So, it wouldn’t be naïve to say that the growth is close for the immigrants. The Ministry of Trade and Development has also taken the much needed action required to promote the possibility of growth and development in the economy. Hence, as an immigrant, if you want to thrive then you need to have either of the two things in Singapore—a heavy wallet or exceptional skills. It is meant for all those individuals who fall under the heavy wallet category. For such individuals, it is important that they must understand the Singapore EntrePass Programme which is a game changer for them. The scheme enables the immigrant to immigrate to Singapore without any hassle and at a quicker time than expected. The programme was introduced back in the year 2004 with the motive to attract investment and ensure that immigrants were coming and investing in Singapore. The best part about the programme is that the movement can be made before incorporating the company in Singapore. But immediately after coming to this country it is required that the immigrants inject the much needed capital under which the movement was undertaken. There are certain specific guidelines which are needed to be met when you are moving under the EntrePass programme. Take a look at the requirements demanded in the first place! The individual should be ready to establish the business in Singapore and continue with the operation. The idea which the individual has proposed should be of entrepreneurial level. The individual should have an entrepreneurial experience. The individual should be willing to register the company as Singapore Private Limited and not as a sole proprietor. The individual should have 30% of share holding in the company. The individual will have to submit a security deposit of $3,000 with the Singaporean Based bank. Now, you witnessed that immigration to Singapore can take place via investment but there is also another provision which allows the immigrants to take the course to the nation. The immigration can happen through the course of job. The P1 Employment Pass is meant for those workers who are engaged in some skilled work and they are willing to immigrate to Singapore. The immigration is granted to only those individuals who are acquiring the executive, managerial and supervisory level of talent to streamline the immigration. It is also mandated that the immigrant is earning a fixed monthly salary of SG$7,000 or more. If the individuals fall under the given bracket, they can be given the opportunity to immigrate to Singapore. The application procedure of the P1 Pass is similar to those which have been followed in other countries. So, here also the employer will have to sponsor the immigrant under the Singapore immigration jobs visas and the immigrant will be able to make the move in time. The Employment Pass P1 requires an income of S$7,000, but if you want to apply under the employee pass 2, you need to have a minimum income of S$3,500. So, think about the chances and take the call today!